Has your business chosen reporting cycles for the disclosure of its financial and non-financial data which are appropriate for the long term interests, strategies and goals of the organisation? Yes. We have chosen real-time reporting and a continuous reporting cycle for our non-financial disclosures because we believe that this is what all responsible businesses should do. We report using Responsible 100 to do this. 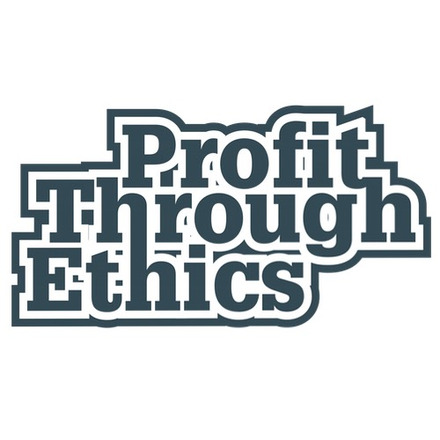 Profit Through Ethics Ltd (‘PTE’) is the London-based, social business behind Responsible 100. Responsible 100 is a tool for companies committed to real openness, honesty and dialogue. It is a small consultancy-type business made up of 2 full time and 4 part time employees. In regards financial data, we prepare our financial accounts for the annual period of 1 January to 31 December and report to Companies House in accordance with UK law. Like many small private limited companies, PTE does not need to get its annual accounts audited as our company articles of association do not say we must, nor do shareholders ask for an audit. Our finance director prepares half yearly management accounts to help us manage the financing and growth of our business and our progress towards set targets. Annual accounts preparation and submission and half yearly management accounts preparation and analysis are really reporting cycles that chose us but, for now, serve us more than adequately. Thus our reporting cycles for the disclosure of financial and non-financial data are appropriate for the long term interests, strategies and goals of our organisation. As effectively a start-up business, our aim is to disrupt markets with new products and services and to scale rapidly. Despite the considerable challenge of creating and launching a transparency and accountability initiative for business, i.e. Responsible 100, PTE continues to attract clients, partners and investors and, as a result, develop and grow towards our aims. We are accountable to these key stakeholders in particular. And we welcome the influence that they have on what we do and how we do it. While our financial disclosures are important to investors, it is our strategies for gaining traction and scaling Responsible 100 that are the most important issues for the great majority of our stakeholders. Providing a means for real-time reporting of non-financial data on a continuous reporting cycle is the very purpose of Responsible 100 and the focus of the work of PTE. Responsible 100 is the product of work dating back to 2002. It was a reaction to CSR reporting that lacked credibility. Then, when big banks and big oil companies, for example, produced glossy CSR and sustainability brochures proclaiming how ethical, responsible, values-driven, ‘our your side’ and ‘part of the solution’ they were, people were either largely unmoved, incredulous, scathing, cynical, or a combination thereof. This same issue persists now, for practically all large businesses, and many that are not so large. In short, people’s trust in business is at a low ebb. Perhaps not in spite of CSR efforts but because of them. Responsible 100 has emerged from years of development and prototyping work. Its started with the realisation that, to be credible in the claims they made, businesses could not be left to cherry pick which responsibility issues they wished to report against. From charitable giving to animal testing to modern slavery to diversity in the workplace to tax, executive pay and lobbying government, all issues affecting business and wider society matter. Our view remains that businesses should be prepared to explain their policies and practices in regards to them all. Responsible 100 questions enable the exploration of any given social, environmental and ethical issue to the fullest possible extent - or whatever extent question developers agree. Scorecards seek to categorise all the policies and practices described by businesses in their answers, as well as those observed in the wider world. We work hard to ensure all questions in the R100 questionnaire are developed collaboratively. And further, that they are always as relevant, well-informed and up-to-date as possible. As such, each question (as well as the answering guidelines and scorecard which support it) is subject to ongoing revision and improvement. Questions and scorecards are developed and improved as part of an on-going, open, collaborative, and defined process of which frank and honest roundtable meetings between businesses, NGOs, investors, academics, government officials and other expert or interested parties is an integral part. Our shared aim is to determine what POOR, OKAY, GOOD and EXCELLENT business practices are in respect of all the responsibility issues we examine. The 50 responsibility issues that Responsible 100 currently examines are listed on our questions page. Business and non-business organisations that contribute to the development and improvement of our questions and scorecards are listed as Participants on the R100 website. Businesses which have published one or more scored answer are listed under Reporting Businesses. To publish an answer on the R100 website, a business must satisfy PTE that its answer meets all the answering requirements set for that question. Once out of beta, the terms and conditions set for the disclosure of answers will require that Reporting Businesses guarantee their answers are complete, accurate and verifiable and maintained as such at all times. While the website is still in beta format, we intend to develop the website platform such that a community of stakeholders - persons interested in any given business for any reason - can read answers published and provide their rating, feedback and critique of published answers. We believe that the real-time reporting of non-financial data in a continuous reporting cycle is the responsible thing to do. We also believe that it is good business because it enables businesses to participate in thought leadership and to innovate, and to map and benchmark their performance. It enables dialogue with and feedback from stakeholders. It can enable better decision-making and it can provide a powerful differentiation for customers, employees and investors and other key stakeholders. Has the time come to put an end to quarterly reporting? Sound investment decisions depend upon access to timely and accurate business information, both financial and non-financial. However, many are of the view that reporting cycles designed to serve the apparent needs of investors and other key stakeholders may hinder effective business and operational decision-making, and thus actually diminish shareholder value rather than enhance it. On one hand, markets and regulators desire ever more reliable, credible, and transparent information. On the other, many businesses believe they are being unnecessarily burdened. Some feel that the costs of compliance and reporting are rising without obvious economic benefit, and it would be preferable to invest their resources in product and service innovation, in seeking out new opportunities, and in value-added activities instead. As argued by Legal & General Investment Management (LGIM) in its 2015 annual governance report, quarterly reports do provide an opportunity for management to update their broader investor base and manage their expectations, but they come at a cost in terms of resources and can also potentially impact strategic decisions. LGIM contends that most business managers would agree that it takes at least three to five years for meaningful change to occur in companies. In some businesses, particularly research and development-led sectors, decisions taken today might only come to fruition in 10-20 years’ time. Also in 2012, the Generation Foundation published Sustainable Capitalism, which identifies five actions including ending the default practice of issuing quarterly earnings guidance. A 2013 report it commissioned Building A Long-Term Shareholder Base: Assessing The Potential Of Loyalty-Driven Securities, building on this earlier work, recommended “abandoning quarterly reporting given its potentially adverse effects on both companies and investors”. In 2013, the European Union altered the Transparency Directive for listed companies by removing the mandatory requirement for interim management statements. The UK’s Financial Conduct Authority (FCA) subsequently implemented the change and the regulatory requirements were officially amended on 7 November 2014. However, since then, only a small number of companies (Diageo, United Utilities, National Grid and G4S) have stated their intention to drop their quarterly reports. It is reinforced by cyclicality, global competition for capital and the preferences of shareholders overseas. While acknowledging that removing quarterly reports and moving to semi-annual updates would not be a panacea in creating a more long-term investment environment, LGIM is nonetheless confident that asking companies for long-term business growth and expecting them to meet consensus targets every quarter is contradictory, and possibly counter-productive. As a result, in 2015 it decided to lend its support to companies considering discontinuing their quarterly reports by writing directly to the chairs of all the FTSE 350 companies. In these letters, LGIM reiterated that the decision on reporting frequency lies with the board, which should base its decision on the nature of its business and its investor base. It made clear its preference, however, was for less communication on short-term achievements and more articulation of business strategies, market dynamics and innovation drivers. The same rationales apply to disclosure of data relating to sustainability. Sustainability reporting requires that an organisation understands how it impacts on its stakeholders, and ways in which it might mitigate negative impacts on the economy, society and the environment. Similarly, integrated reporting emphasises the inclusion of forward-looking information to allow stakeholders to make a more informed assessment of the future value creation ability of the organisation. Integrated reporting aims to combine and integrate the financial and non-financial data businesses measure, use and report on. Sustainability and integrated reporting by their very nature require businesses to consider, plan for, work towards and articulate longer term strategic issues. An 'integrated report' is a concise communication about how an organisation's strategy, governance, performance and prospects lead to the creation of value over the short, medium and long term. 'Narrative reporting' describes the non-financial information included in annual reports to provide a broad and meaningful picture of the company's business, its market position, strategy, performance and future prospects. Listed companies are obliged to release 'price sensitive information' to the market as soon as they are in possession of it, irrespective of where it is in its periodical reporting cycle. Price sensitive information can relate to any new developments which are not public knowledge which, if made public, would be likely to lead to a significant movement in the share price. A 'quarterly report' is an interim management statement consisting of financial statements issued by a company every three months. A 'reporting cycle' is the span of time covered by a set of financial statements. The reporting period is typically either a month, quarter, or year. Organisations use the same reporting periods from year to year, so that their financial statements can be compared to the ones produced in earlier periods. A 'sustainability report' is an organisational report that gives information about economic, environmental, social and governance performance.